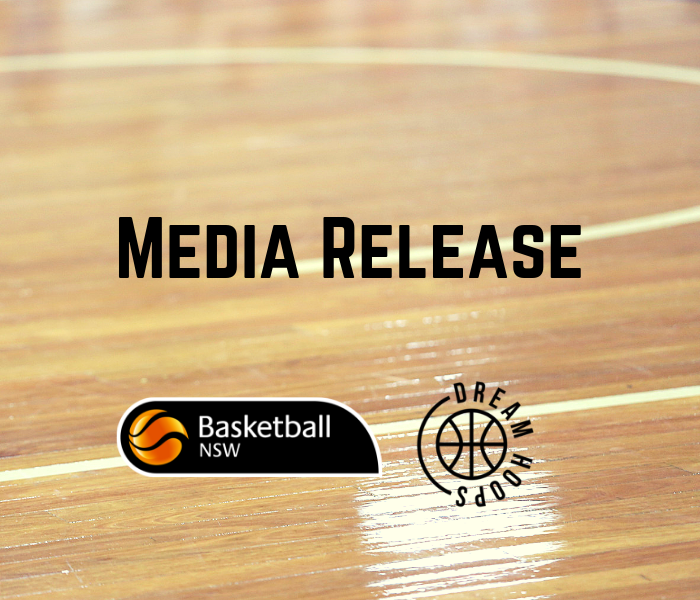 Basketball New South Wales is pleased to reveal the successful outcome of the first round of funding for the Dream Hoops Foundation in partnership in with the Leap Basketball Foundation. The exciting partnership with BNSW and Leap Basketball Foundation was created in November 2018 with the aim of the Dream Hoops program to reach kids and youths who love basketball and desperately want the chance to play but don’t have means to do so by providing monetary assistance. The first round of the Dream Hoops Program saw an exceptional number of applicants apply with over 100 successful donations granted for funding across NSW, totalling $65,000. The Dream Hoops program was created to assist families and athletes to continue playing basketball without the worry of large costs associated with registration fees or high performance programs. This current round of funding will enable these families to cover the costs of their local basketball fees and BNSW High Performance programs. For those athletes with great potential or identified talent, there is also now the opportunity to participate in our High-Performance programs and representative events that may not have been accessible due to the lack of financial assistance beforehand. Basketball NSW, CEO, Maria Nordstrom said she was amazed with the large and successful reception in the basketball community for the Dream Hoops program and is excited to continue to partner with Steve Atkins and in particular his foundation “Leap Basketball Foundation” (in conjunction with the Australian Sports Foundation) to build on the success of the program in future. “On behalf of Basketball NSW, I would like to firstly say a huge thank you to Steve Atkins and his team for all their assistance in getting this program off the ground and into the community,” said Nordstrom. Leap Basketball Foundation founder, Steve Atkins says partnering with Basketball NSW to provide the opportunity to help assist kids in their basketball journey was an easy decision to make but was overwhelmed by the number of strong candidates that applied for the round one funding grants. “We are thrilled with the response from the first round of funding, we could not have asked for a better outcome,” said Atkins. The Dream Hoops Program funding for round two will be open on the 8th of August, 2019 via our website.